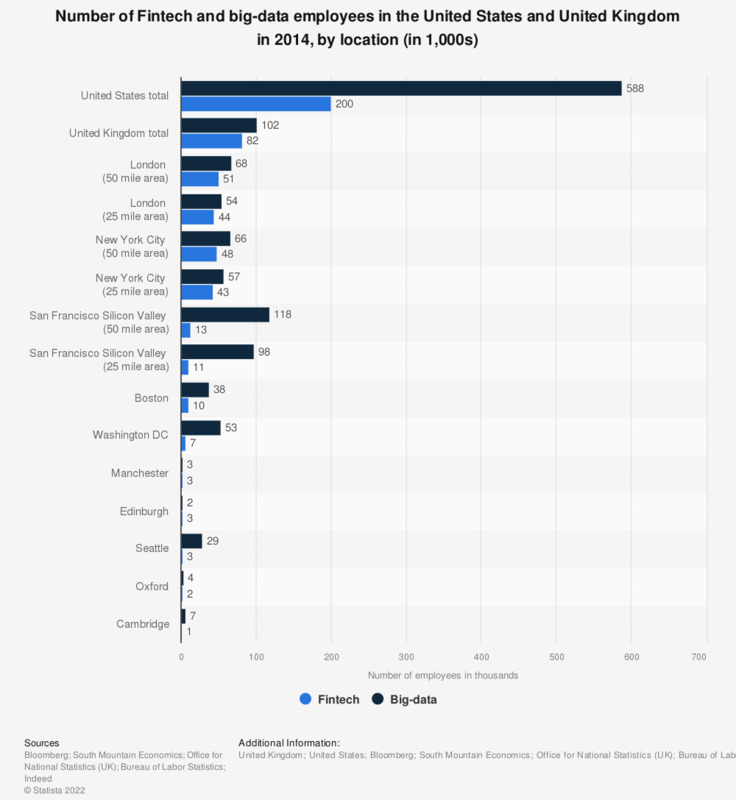 This statistic shows the estimated employment figures in FinTech and big-data sectors in selected locations in the United States and the United Kingdom as of May 2014. In that time, the United States offered 200 thousand Fintech jobs and 588 thousand big-data jobs. In London (50 mile area), there were 51 thousand people employed in the Fintech companies in 2014. Fintech refers to any technological innovation in the financial sector, e.g. cryptocurrency, mobile banking etc. However, it still remains relatively unknown among U.S. consumers. All figures are estimates. All jobs within 25-mile radius except when indicated otherwise.